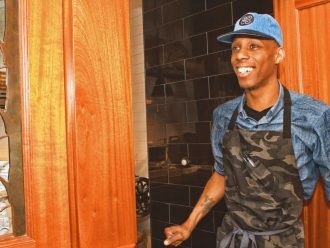 Chef Solomon Johnson is a culinary enthusiast who got his start at the Art Institute of Philadelphia. and is currently working with Paula Le Duc Fine Catering in Emeryville as well as with Bi Rite Catering in San Francisco. He also hosts private cooking lessons for children and adults.